Audiodog is Bruce’s first solo release. 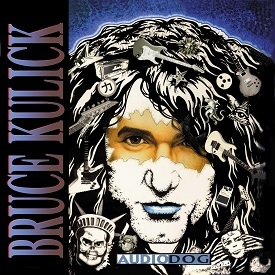 It was created with some song ideas that KISS never got to, in addition to many new ideas that Kulick wanted to shape into a half vocal, half instrumental release. It is currently out of print in CD form, but look for an upcoming vinyl release in 2019.